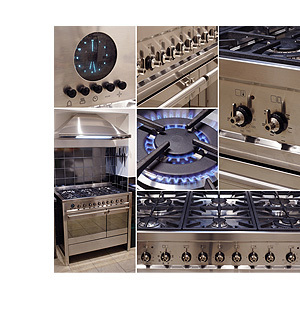 We offer professional stove cleaning services to both commercial and residential customers. As we are a family run operation, Ovenbrite guarantees to provide a professional staff that is both friendly and fully trained. We also guarantee that the cleaning will leave no mess and provide results of showroom quality. We offer our services at flexible hours to meet the needs of a variety of different customers. We offer competitive pricing on all of the services we provide. In addition, we uses non-toxic cleaners that are eco friendly and safe for your family members and pets. These services are offered to residential homeowners, as well as landlords, real estate agents and schools. The cleaning process utilized we use is systematic and follows a series of well defined steps to ensure proper cleaning. The first step is assessment, where the stove will be checked thoroughly and a detailed list of what needs to be cleaned will be compiled. The internal cleaning takes place next and this is followed by door disassembly. The external area of the stove is cleaned next and this step is followed by the dip cleaning of any racks and shelving that the stove may contain. The door is then rinsed and reassembled back onto the appliance. Any parts that have been removed or loosened for cleaning are then refit and tightened. The final steps involve an external polishing that is followed by a final once over to ensure that everything has been done properly. This detailed procedure is accomplished with fume free and non caustic products in your very own home. There are many advantages to using Ovenbrite in order to take care of your stove cleaning needs. Cleaning the stove can be a very dirty job. These jobs can also be difficult to complete in a thorough fashion. A professional cleaner that is dedicated to the job, can offer a service that will far surpass the average cleaning job of a homeowner. Many cleaning products contain harsh chemicals, and those provided by the service allow you to avoid bringing these into your home. Hiring the service will provide you with more time to do the things that you enjoy, such as spending quality time with your family. Time needed for a traditional stove clean is usually around one hour. You will be able to use your stove immediately after the job is finished as no toxic chemicals are used in the process. In addition, the services provided by our stove cleaners are GST free, so there are no additional or hidden fees.